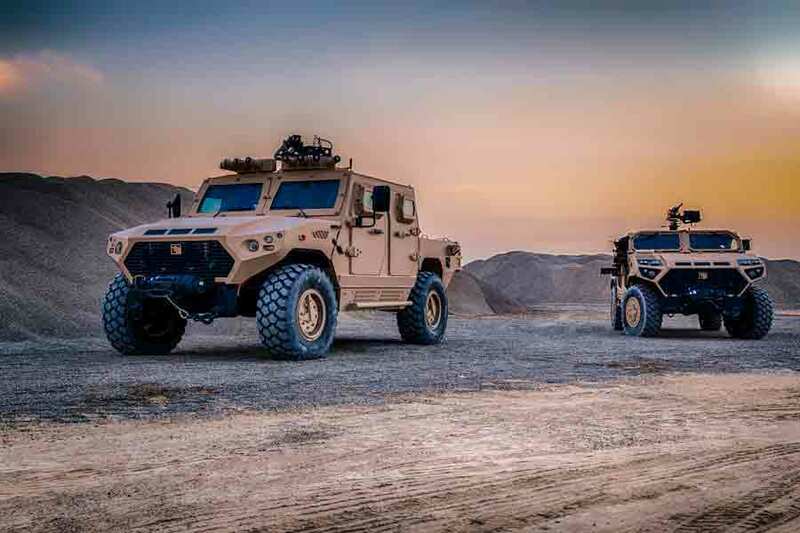 NIMR Automotive has unveiled its latest vehicle platform, the Hafeet 620A at IDEX 2017 in Abu Dhabi. A WEW 2.3m3 water tank with its own pumping and UV radiation module has been mounted to the armoured 6x6 utility and logistics vehicle. The Hafeet features a two-man cabin and large cargo bed that can be integrated with a variety of mission systems and weapon system loads.The collaboration between NIMR and WEW/Thielmann demonstrates a highly mobile and flexible means of providing water for patrols operating in remote areas. The HAFEET 620A is a highly mobile 6x6 protected vehicle, which provides the essential combination of payload, mobility, and protection. It features a two-man cabin and a large cargo bed, designed to optimise payload capacity for the integration of various systems, such as the WEW 2.3m3 water tank. In the Afghanistan theatre, logistics vehicles carrying fuel and water often came under attack from insurgents. As a result, vehicle manufacturers have sought to build better protected vehicles that do not compromise mobility. The stainless steel WEW tank can be fitted with a variety of pumping, preservation and chiller systems to provide cool water whenever required. The WEW tank on display is a 10 ft BiCon configuration utilising international standard locking bolts. Similar systems are available for the transport of fuels allowing for resupply during extended operations. 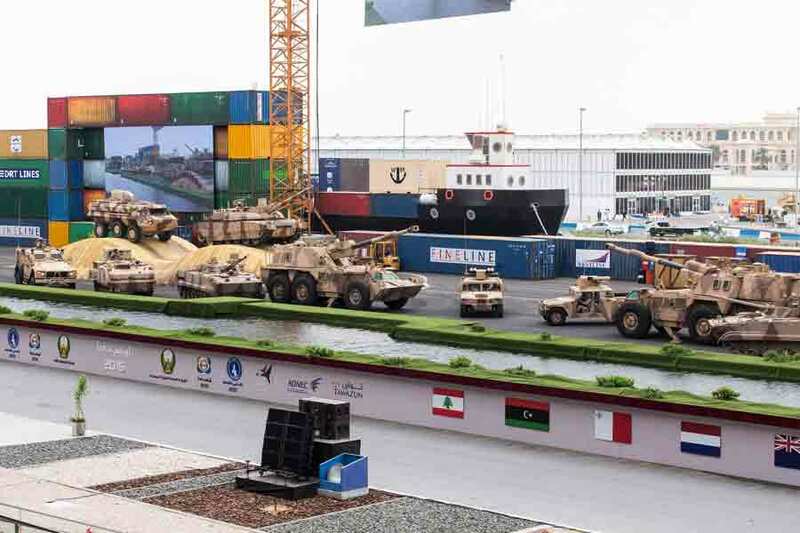 The Hafeet 6x6 is a multipurpose 15,000 kg gross weight platform which can be configured in a variety of roles from utility to a fully protected patrol vehicle. In the utility role it has a payload of up to 5,000 kg. Common to all variants is a universal 6x6 chassis for a common logistic footprint to minimise the training, maintenance and spare parts inventory. All variants in the Hafeet Class can be supplied in both protected and unprotected versions, with the protected range fully certified to international standards. The Hafeet APC a 6x6 configured as a mine-resistant truck. 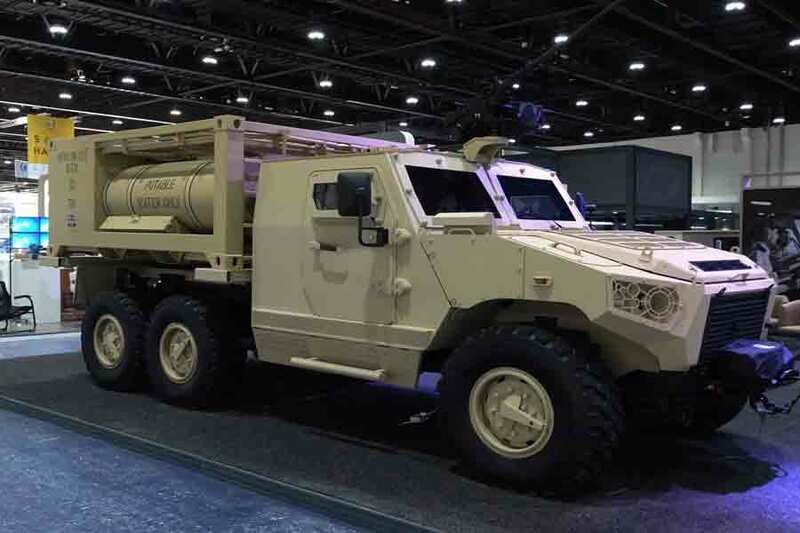 The Hafeet 620 a 6×6 armed with two modules of Talon guided rockets. The Hafeet 640A a 6×6 armed with a remote control 25 mm cannon on its truck bed.